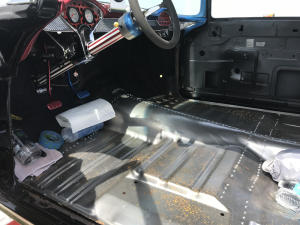 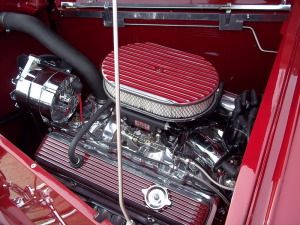 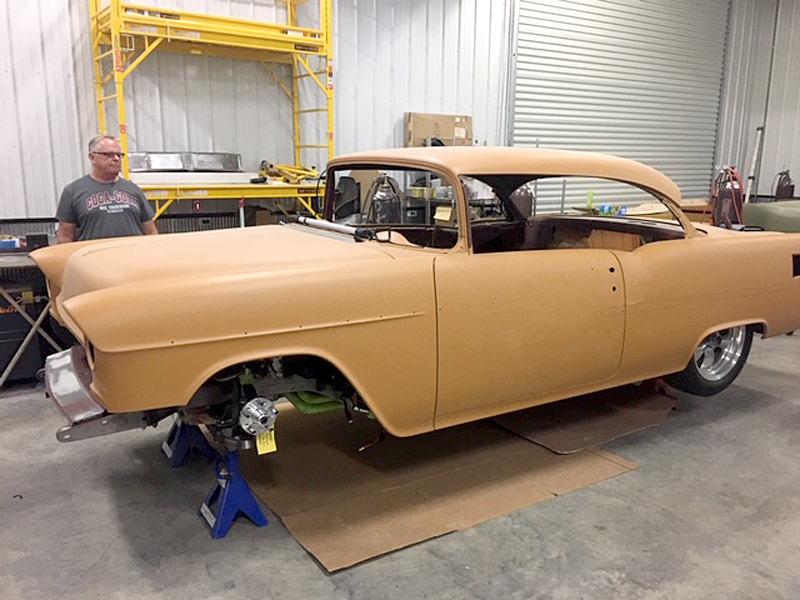 When Larry Graham of Jefferson City, MO decided he wanted to build a 1955 Chevy Gasser he wanted it to do it right and to be as painless as possible so he turned to Jerry and Jason to get some advice. 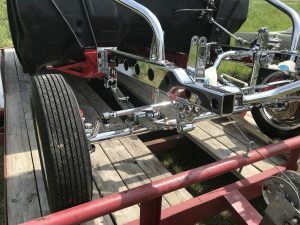 Larry was going to run a big block so he wanted a Gasser front suspension that not only could hold the weight but would be the right width and look for the car. Jerry and Jason put their heads together and came up with a custom setup that works perfect for Larry. 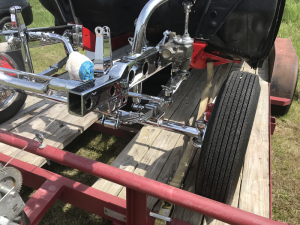 Larry trailered the work in progress up from Jefferson City to show us during our Annual Open House May 12, 2018. 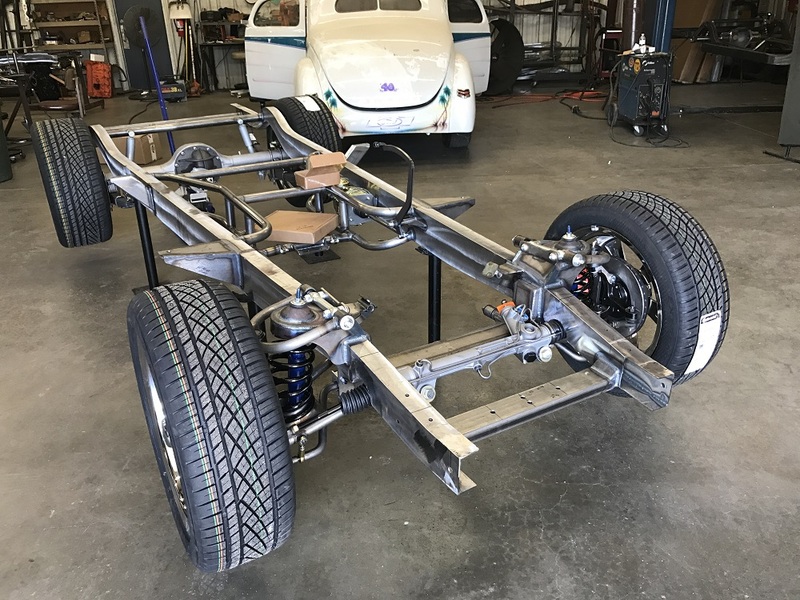 The pictures below show how Larry build a subframe to fit the stock chassis. 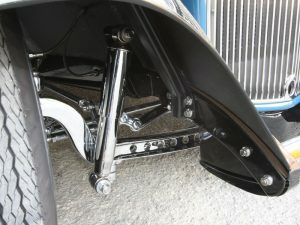 It consists of 4 bolts at four points for a total of 16 that holds the front subframe securely to the car. 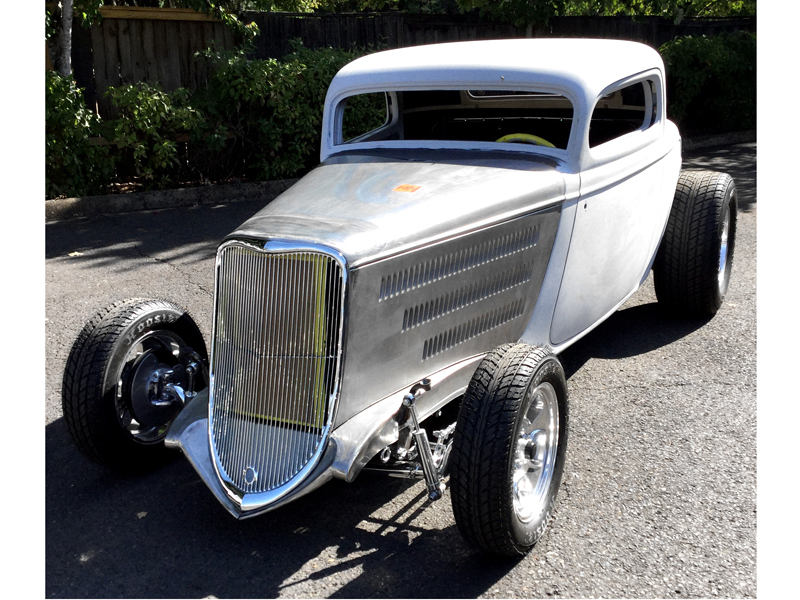 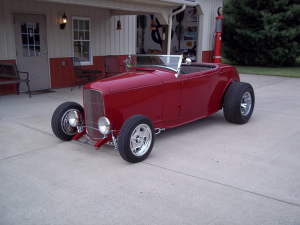 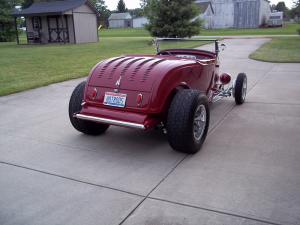 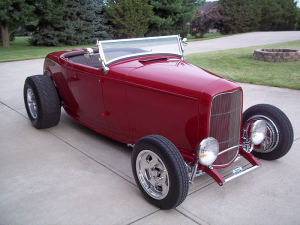 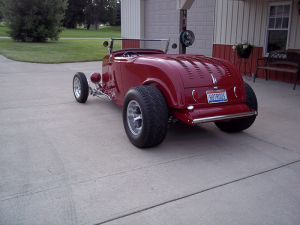 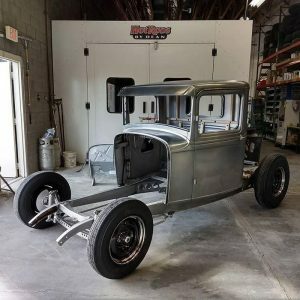 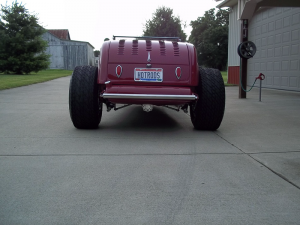 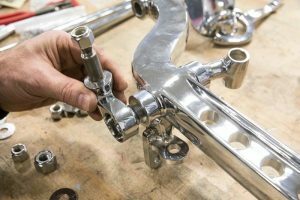 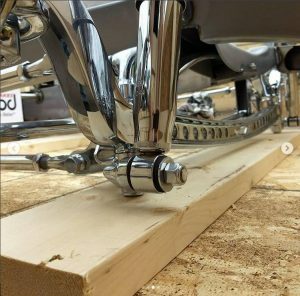 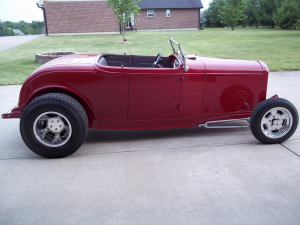 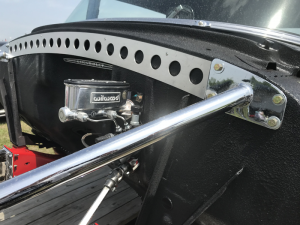 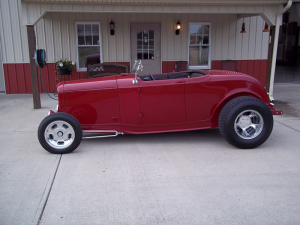 With our help, our custom width straight axle and Gasser parts Larry was able to fabricate a pretty neat system in our opinion. 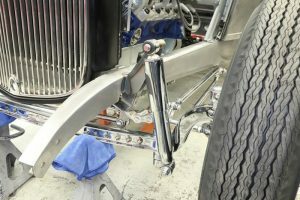 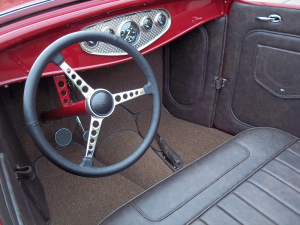 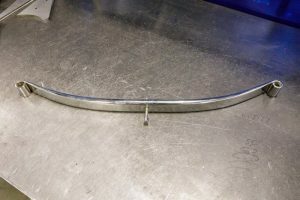 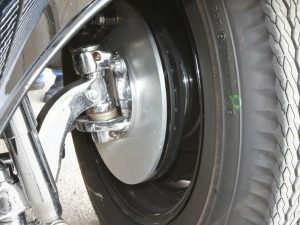 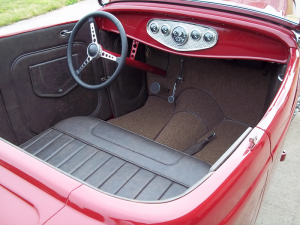 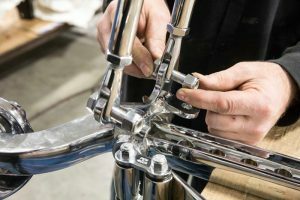 The springs can have leaves removed to adjust the height and accommodate the weight once he has the engine and transmission mounted. 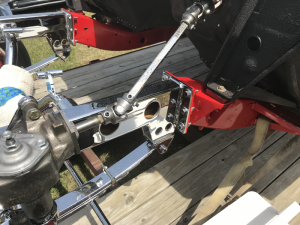 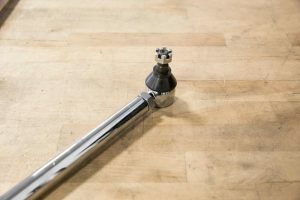 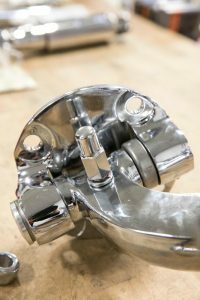 Larry set up the tie rod and steering box system with advice from us and it works real slick. 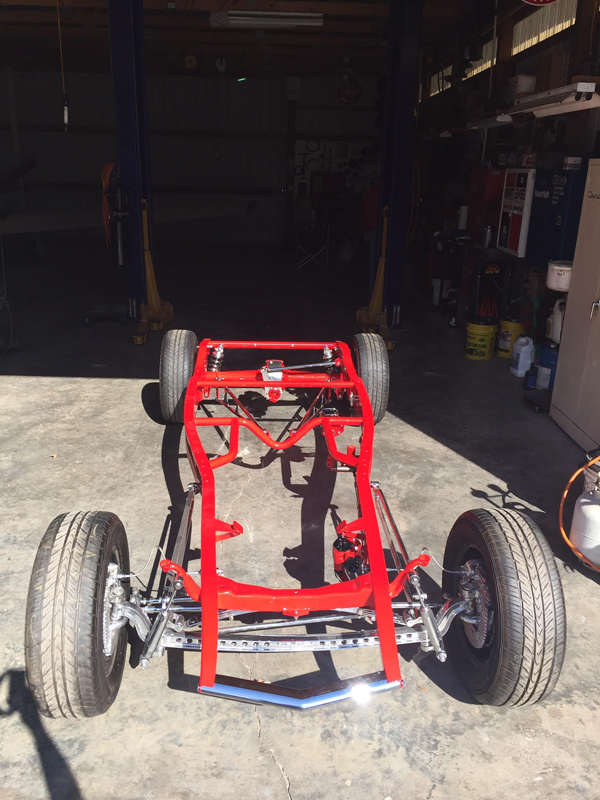 Where the subframe attaches to the firewall Larry will eventually tie it into the interior roll cage. 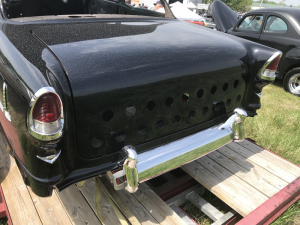 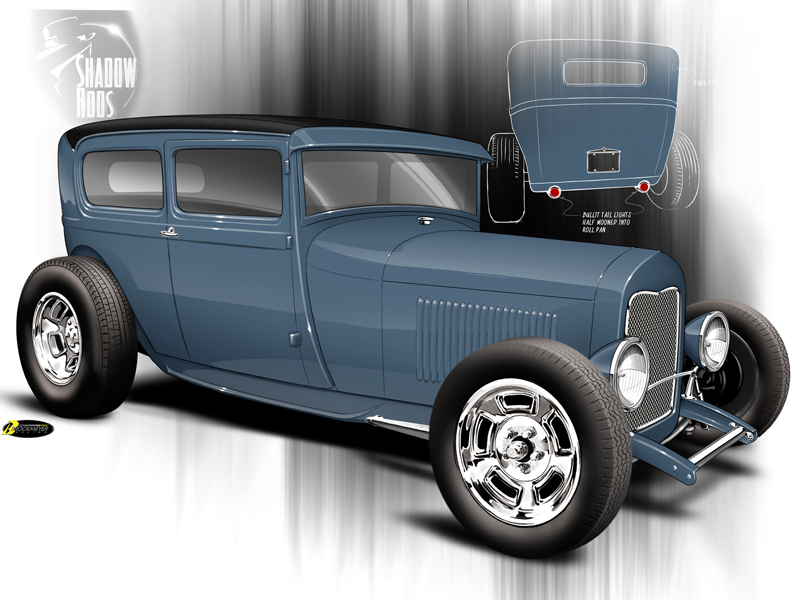 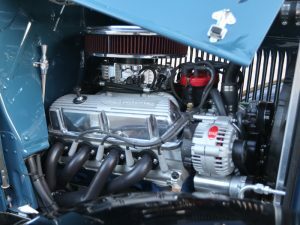 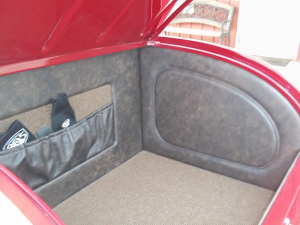 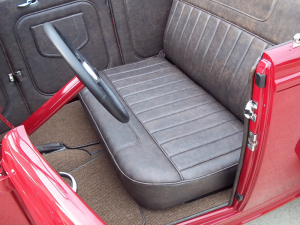 We can do the same for any Gasser project, just give Jerry or Jason a call. 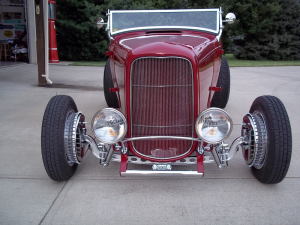 Jason Slover was interviewed by KSHB41 in Kansas City recently. 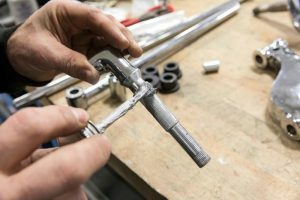 It’s always been a goal at Pete & Jake’s to provide the best products to fulfill the needs of our customers. 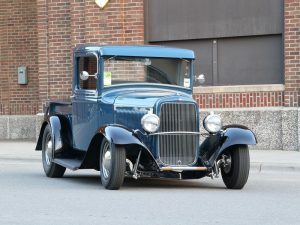 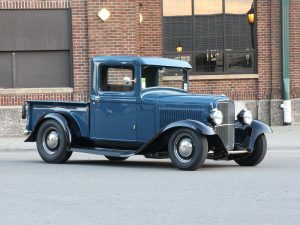 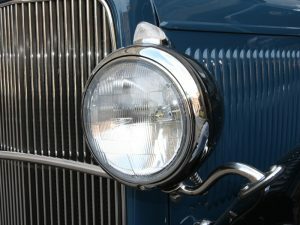 Recently we’ve realized that many of our customers and potential new customers own other cars other than Model A through 1948 Ford’s. 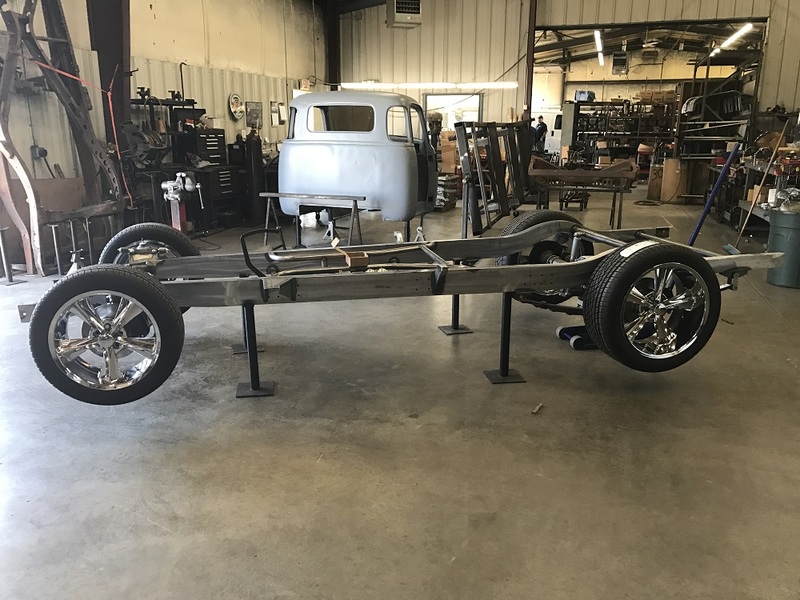 So we are expanding our line of chassis into the Chevrolet line. 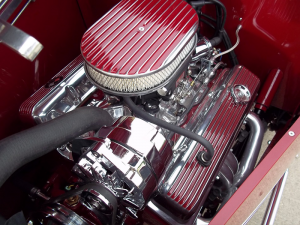 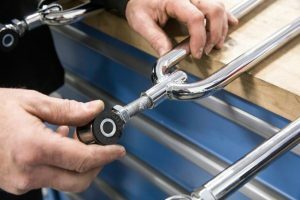 Same high quality craftsmanship, parts, and accessories as well as the best in customer service. 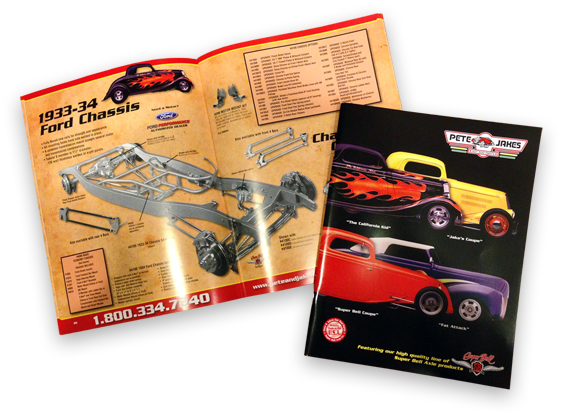 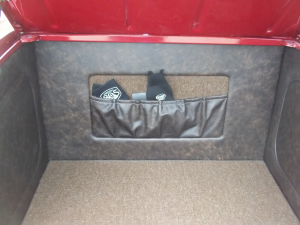 Give Jason or Jerry a call at 800-334-7240 and we’ll design one for you.